As you can see my progress to this point has been quite the learning experience, and I stubbornly wanted to use the proprietary software created for this machine. 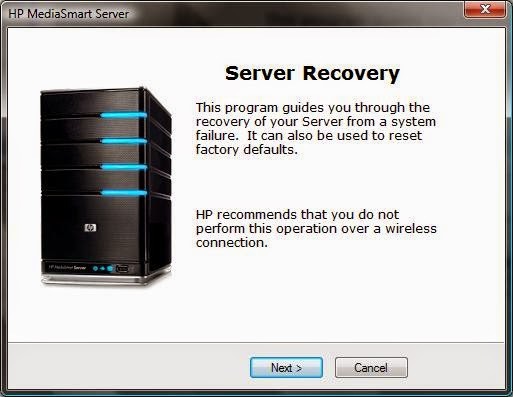 There are all sorts of methods to circumvent the blown LAN port, but the method I found to be easiest is to format a USB drive in FAT, then copy the HP SMI Files (this is where I found them online) to the root directory of the USB flash drive. Now you will need either a USB LAN or USB Wifi device with 32bit drivers !!!!! Copy the 32bit device drivers to the drivers folder of the SMI USB flash drive. Insert the SMI USB flash drive in the back bottom USB port and your LAN or Wifi device to another USB port. 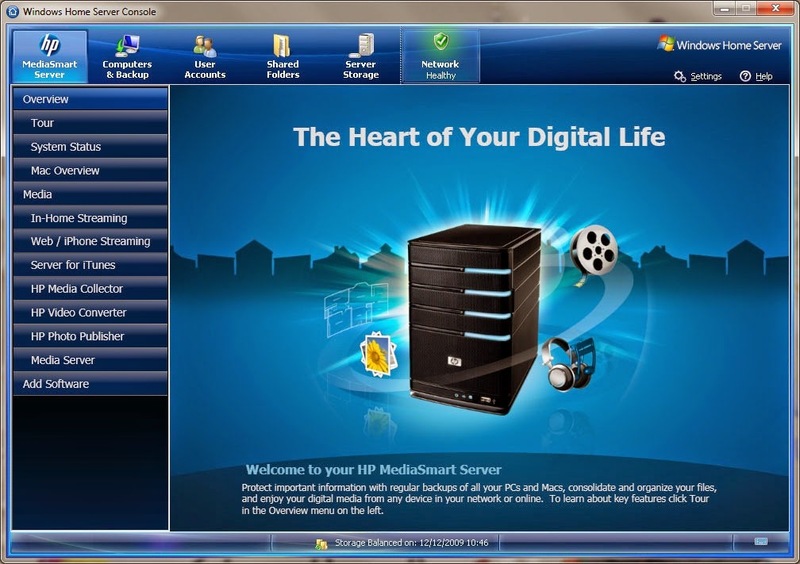 I was now able to boot my device and connect to it from a remote system and install the proprietary 'HP MediaSmart Server Recovery CD' Version 3. Remember to delete all partitions off the main hard drive before booting, or you will end up booting from the hard drive. The best alternative option is to install a more modern operating system directly from USB boot (as I mentioned earlier), an option I just might try in the future.